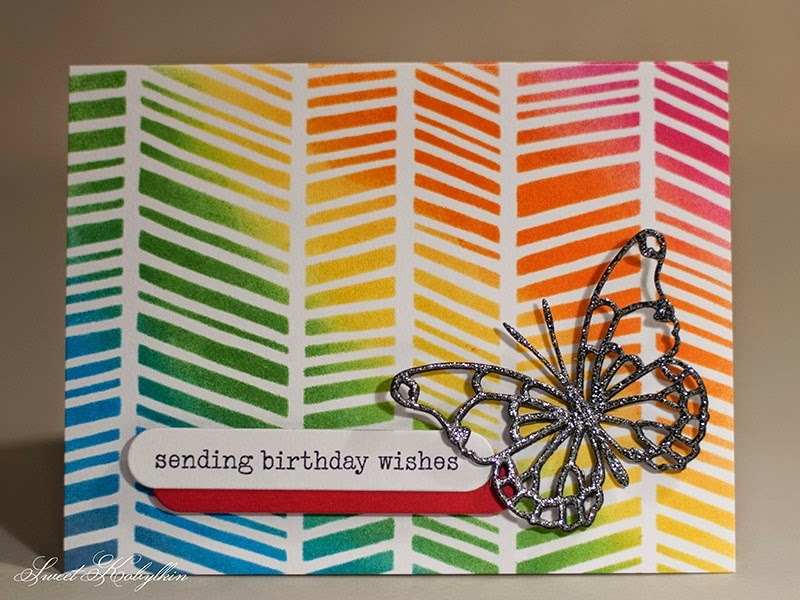 Today I'd like to share my CASEing of Gayatri Murali's card, which was inspired by Laura Bassen's card, made for CASE Study 4th Anniversary blog hop. 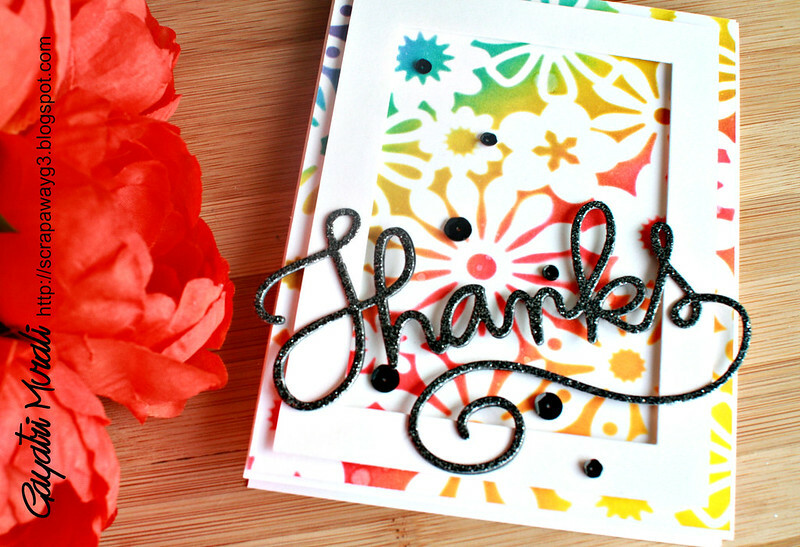 I kept the major elements of both cards: the rainbow sponged background, the black intricate shape and the layered banner for the sentiment. Thanks for visiting! Have a nice evening!